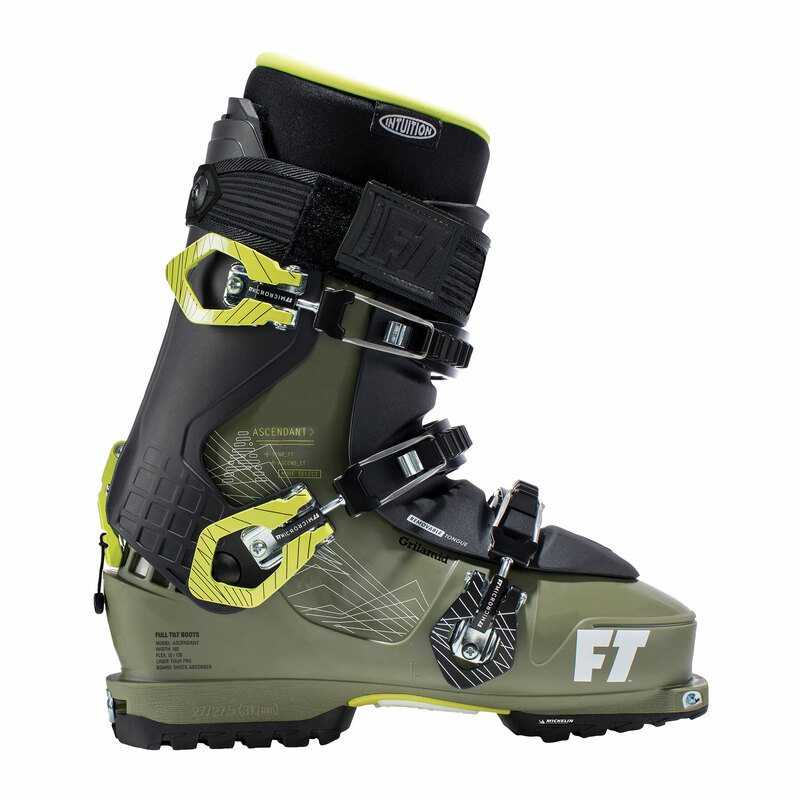 For when lift-serviced runs just aren’t enough, the Full Tilt Ascendant Ski Boot is a great choice, complete with tech fittings, impressive range of motion and the epic downhill performance Full Tilt are famous for. If you’re an avid Full Tilt fan and want to take your freeride tendencies off the beaten track then the Ascendant’s touring ability is the answer. Still utilising the same winning Full Tilt fit, but with all the touring features you need, pin tech inserts, a removable tongue and a gatered shell combine to give you free-flowing movement uphill, coupled with lightweight and strong Grillamid to give you great all-round ski performance.